This catalogue aims to provide a comprehensive list of all the mouthpieces produced in Edward Pillinger’s workshop. In addition to originally designed handmade mouthpieces, Edward Pillinger creates reproductions of rare, historic and otherwise ‘special’ mouthpieces. F1 Classic style with a deep concave baffle and large slightly A-frame throat.. Strong dark tone. F2 This internal dimensions of the F2 follow the traditions of the expert English and French makers of the 1920s and ’30s. The shape and angle of the baffle are in the Chédeville tradition and is designed to produce a tone which is well centred, warm and clear with crisp articulation and vibrant colours. F3 This mouthpiece incorporates some of the best features of the F1 and the F2, but has a smaller U-frame throat to encourage a brighter tone with warmth and clarity. F4 Lowered beak profile allowing extra tip resonance but also suitable for players requiring a smaller bite and for less thickness when a patch is applied. This mouthpiece incorporates a straight, flat baffle, but a deeper, wider chamber than most standard French mouthpieces. The result is a dark, even tone throughout the registers. This mouthpiece produces breadth of tone with excellent projection and strong resonant bell notes. EZ Medium deep baffle and medium A-frame throat. Clear, warm centred tone. 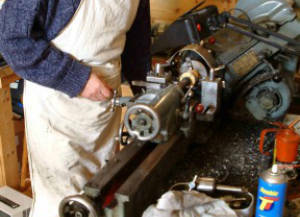 1010 Large bore. Three models; Vintage 1930s (based on Boosey & Co. models), middle period and modern. Primarily for use with Boosey and Hawkes 1010 , Peter Eaton & Luis Rossi (large bore) clarinets. 926 For B&H 926 clarinets. 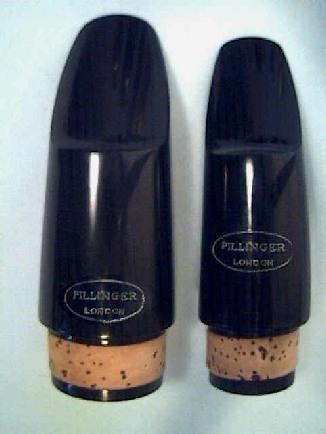 Used by some player on French bore clarinets (may require the barrel to be 2mms shorter). This mouthpiece improves the intonation and tonal properties of many C clarinets. This model with the bore enlarged makes an excellent 1010 bore mouthpiece. R This model nncorporates a special slipway and reed table angle which impart roundness and clarity to the tone or bright and clear without harshness. 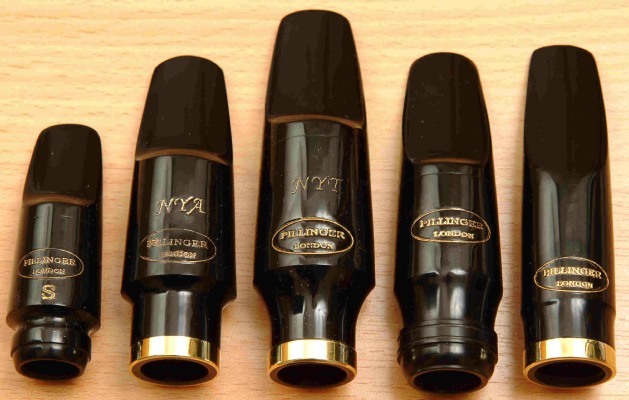 Many players find this mouthpiece enhances the playing properties of instruments such as the Buffet R13, improving the tone and projection of notes in the throat region.. As with the 926, it can also enhance the tone and improve the intonation of C clarinets.